Install the clutch plate assembly. 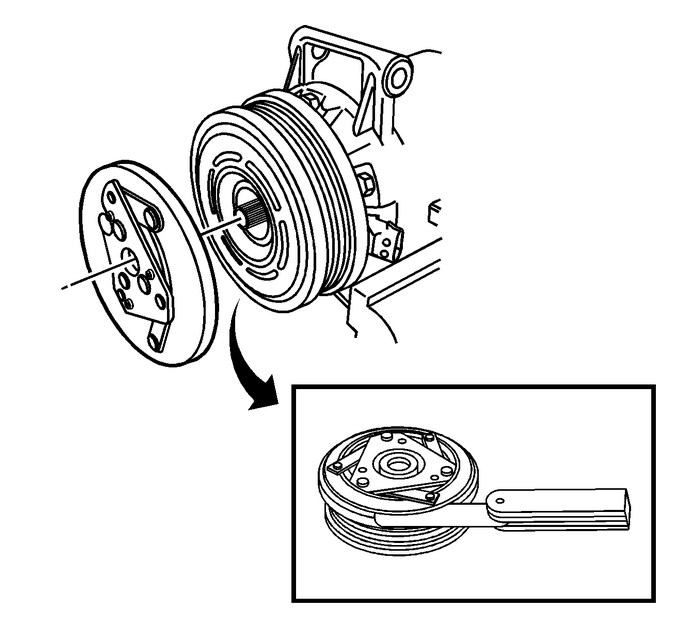 Note:Ensure the drive plate does not drag against the pulley whenthe pulley is rotated. Measure the air gap between the pulley and the drive plate.Adjust the shims to achieve a 0.30–0.60-mm(0.011–0.023-in) air gap. Install the clutch plate retaining bolt and tighten to12-Y(106-lb-in).